Designed from 1933 and produced from 1936, the type was intended as a light infantry support tank, equipping autonomous tank battalions, that would be allocated to individual infantry divisions to assist them in executing offensive operations. To this end it was relatively well-armoured but slow and lacking a good antitank-capacity, fitted with a short 37 mm gun. At the outbreak of the war, the antitank-role was more emphasized leading to the development and eventual production from April 1940 of a subtype with a more powerful longer gun, the Renault R40. 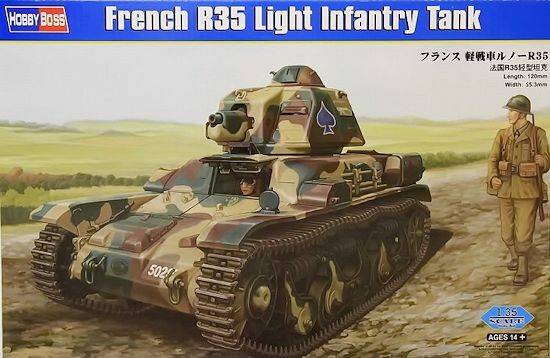 It was planned to shift new production capacity to the manufacture of other, faster, types, but due to the defeat of France the R35/40 remained the most numerous French tank of the war, about 1685 vehicles having been produced in June 1940. At that moment it had also been exported to Poland, Romania, Turkey and Yugoslavia. For the remainder of the war Germany and its allies would use captured vehicles, some of them rebuilt into tank destroyers. 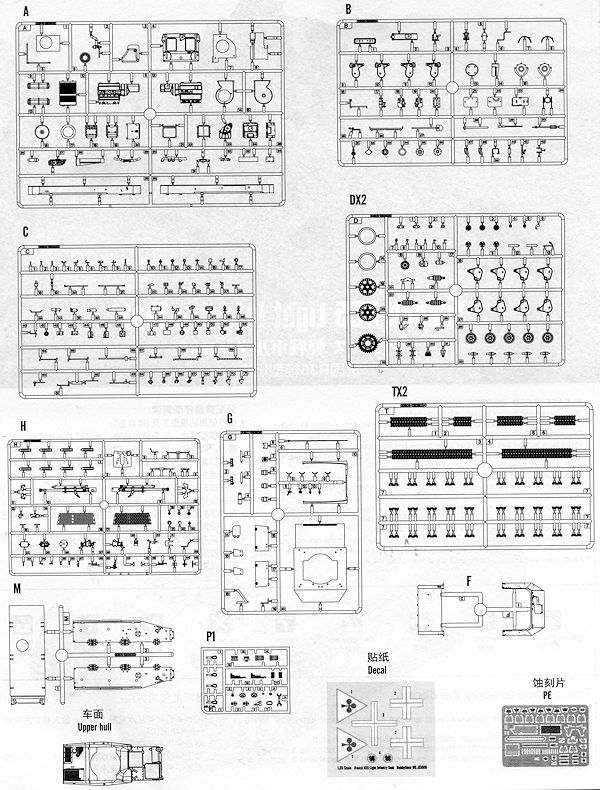 Despite a finished model that is under five inches in length, Hobby Boss packs a lot of stuff in the kit. First off, it has a pretty nice photo etch fret. 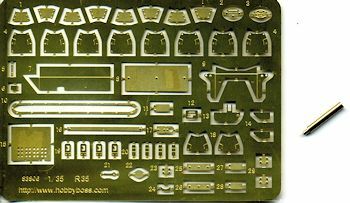 Most of the bits ar e used for braces and brackets with other items used for all parts of the tank from the engine to the interior to the turret and exterior surfaces. The kit also comes with a brass barrel. The kit is not just a curbside but comes with a complete interior that includes the four cylinder engine and transmission, cooling system and exhaust. The hull is built up of sections with the driver's position and controlls in the front. There is a large fuel tank as well as a floor section for the tank commander, who apparently doesn't get the benefit of a seat! Unless he chooses to sit on the transmission. The suspension is quite detailed and you are provided with link and length tracks with the links being used to go over the idler and sprocket as well as making the transition from the road wheels. Vehicle hatches can be posed open or closed and there is nice detail on the inside of the hatches. The turret and gun breech are also well done with the turret snapping into the opening when finished. From the look of it, even with all the hatches open, it will be difficult to see some of the detail that is in the interior. Instructions are well drawn with detail bits where needed. A separate color sheet is provided for the external markings and paint. Two options are provided, neither of which is attributed to any units. 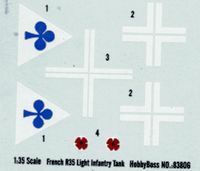 One is a similarly marked tank to what is on the box art tank with the French Army and the other is a German version in Panzer Grey. A nicely done decal sheet is provided. The interior is in 'Aircraft Grey' and I'd paint it light aircraft grey as bright colors tend to be the norm inside tanks. 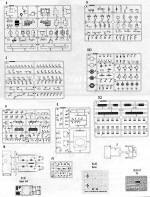 Hobby Boss has done many who like something other than Shermans and Germans on their armor shelf a real favor by producing kits like this. These light tanks are neat kits and will make into equally neat models. Thanks to Squadron Products for the preview kit. Get yours today at this link.